We expect a deluge of religious movies this Holy Week. It's gonna be quite emotionally draining to watch all that takes the same traditional route for its plot. However, we found one that is a little less preachy. The Case For Christ is now showing in select cinemas nationwide. A hard-driving journalist, Lee Strobel was exactly where he expected to be at work: on top. His award-winning investigative reporting recently earned him a promotion to legal editor at the Chicago Tribune. But things weren't going nearly as well at home where his wife Leslie's new found faith in Christ went against everything Lee believed, or didn't believe as an avowed atheist. Utilizing his journalistic and legal training, Lee begins a quest to debunk the claims of Christianity in order to save his crumbling marriage. Chasing down the biggest story of his career, Lee comes face-to-face with unexpected resuts that could change everything he knows to be true. 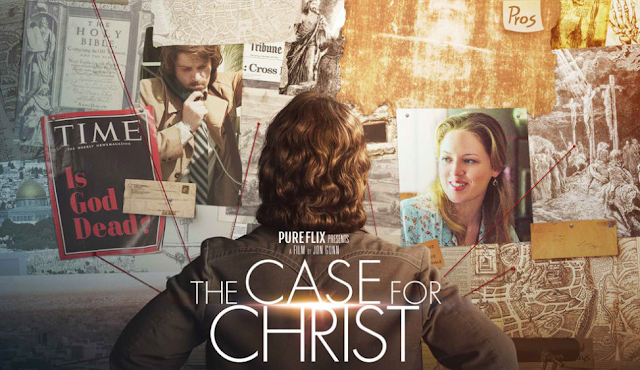 Based on Lee Strobel's award-winning bestselling book and starring Mike Vogel, Erika Christensen, Faye Dunaway and Rober Forster, THE CASE FOR CHRIST opens in theaters on April 7. It's an ideal Easter season movie for anyone who has ever pondered the existence of God... and what role He could play in their lives.